A blizzard of historic proportions is upon us as I write. We feel prepared. We’ve been through some bad winter storms and power outages here over the years. In case you’re new to blizzards, here are some tips for surviving and even thriving in blustery Klondike weather, plunging temperatures, darkness, the roar of snowplows in the night, the thud and crack of the mailbox getting swept aside, etc. Q. What’s the most important thing to do? A. Prioritize. For example, when the power’s been out for five days, and you’re running low on wood for the stove, which furniture are you going to burn first? And if the answer is that old rocking chair up in the spare room, hadn’t you better move it by the stove before the power goes out? Q. Should I stock up on the Coleman camping lanterns? A. Don’t bother. They don’t work. Oh, they work in theory, but remember how when you got them out the youngest children were jumping up and down with excitement about camping, and then disappeared while you and your spouse were discussing where to stow the gas for the generator? By the time you call everyone down for dinner and eat dinner and do the dishes and a strong gust of wind comes and knocks out the power and you ask if anyone’s seen the lamps, you’ll learn that the kids were using them under their bed sheets to play camping. And that’s where the lanterns are: under the bed sheets, turned on full. So now all the batteries are dead. Just stick to candles. They’re quieter. They save a lot of yelling. Q. What about Duraflame logs? A. Yes, they’re edible. We usually serve ours with a snow/peanut butter glaze, but after three days without power and with the roads to the store still impassable, almost any flavored liquid from your dark, quiet refrigerator will do. Salsa? Sure. Yesterday’s chicken soup? Absolutely. The liquified lettuce at the back of the vegetable bin? Er, probably not. Q. I was feeling my way through our darkened kitchen and suddenly ended up flat on my back. What happened? A. You just interrupted a road race. Actually, you ruined it. Your youngest thought it would be cool to have her Hot Wheels race at night, and you just stepped on the lead car. Better pull yourself up and go hunting for it before someone carrying jugs of water to flush the toilet steps on it and makes a big puddle in the middle of the room. Q. The storm is over, and the power’s back on. Can I kick up my heels? A. You could, but you should probably save that energy for shoveling the walks, shoveling out the dog’s kennel so she stops using the driveway, raking the roof, shoveling away the snow you just raked off the roof, and plodding through the snow to find all the pieces of your mailbox. Q. Do these storms happen often? A. Do you really miss the Berkeley City Council that much? 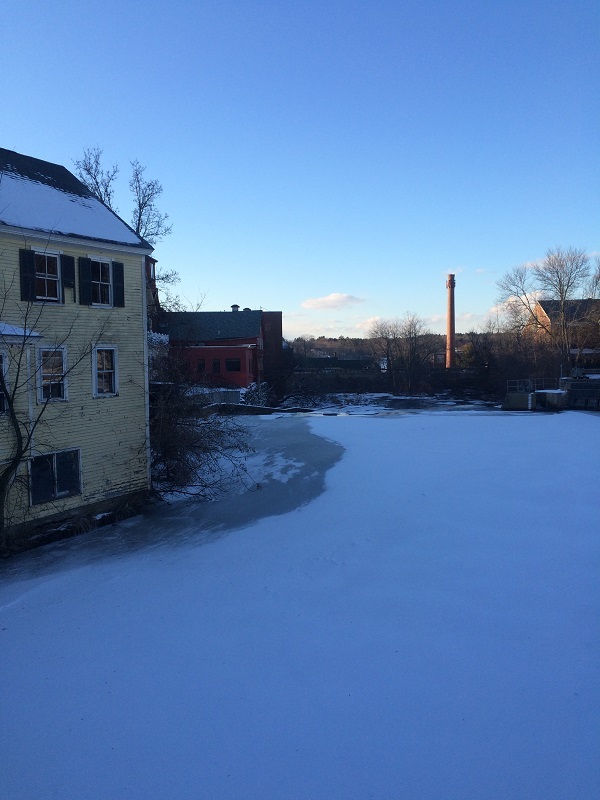 This entry was posted in humor, nature, New England on January 27, 2015 by John. On a chilly day, I might add. 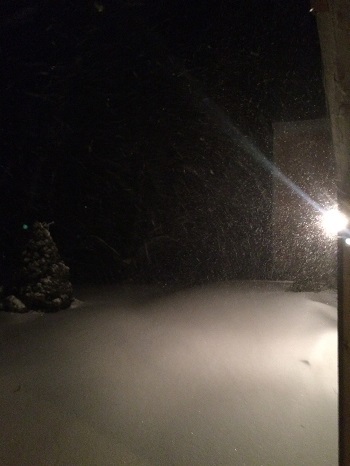 This entry was posted in New England on January 20, 2015 by John.